TKQ offers professional machine quilting services. 27 years experience. Large selection of designs. Fast turn around on edge to edge quilting. We currently have approximately a 3 week turn around time on edge to edge or allover quilting. We have batting available in packages or by the inch on rolls. 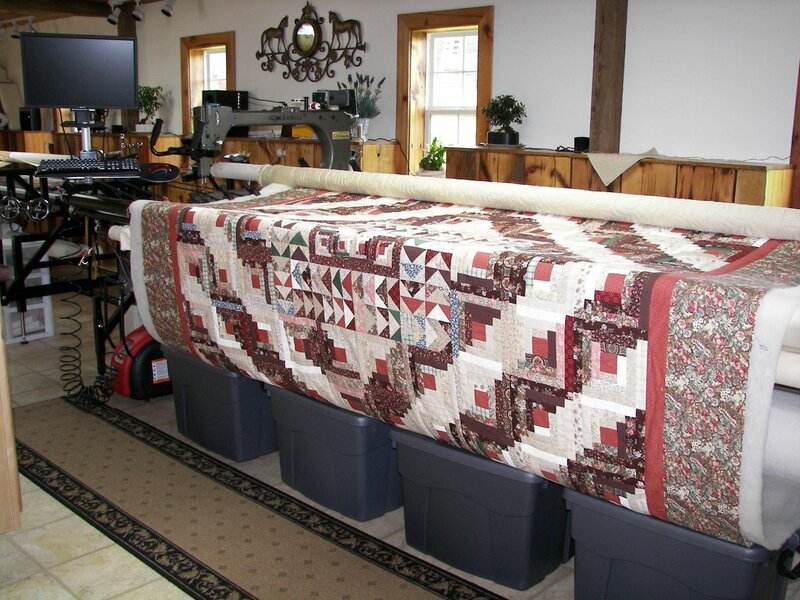 We also carry a large selection of wide quilt backs in our shop. Call 231-299-1333 for more info.